Volunteer kitchens are an important aspect of society. They provide food to the needy and also offer mobile services to people with physical disabilities. Senior citizens, hospital patients and the homeless can benefit from these intrepid organizations. If demand reaches high levels, restaurant equipment can be deployed to help increase food production. Frankston is a suburb of Victoria, a prominent Australian city, and recently the Frankston Council's Meals on Wheels kitchen purchased a $40,000 commercial oven. This restaurant equipment allowed employees to double output to 600 meals a day. "Movement in the kitchen is now minimized, as is lifting, and the oven even cleans itself," said Frankston MP Geoff Shaw, according to Frankston Weekly. 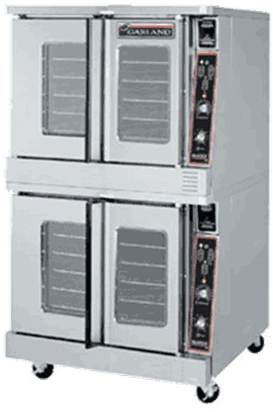 Industrial units like Convection Oven have multiple secure compartments that can cook separate foods without the risk of contamination. The glass doors on the front can let employees view remaining food if demand reaches critical levels. Commercial ovens can allow volunteer organizations to churn out massive amounts of food, and with their help needy residents can receive hot dinners.